The safe thing is for the investor to assume it’s still the same buyer-beware market that’s always existed,” says Barbara Roper, director of investor protection for Consumer Federation of America, a nonprofit advocacy group. Good Advice Doesn’t Promise The Moon And Stars. Beware of advisers who only want to talk about their investing prowess and how they plan to beat the market. Few advisers can consistently deliver market-beating returns, and attempts to do so usually drive up their clients’ costs. A better approach for most people is to invest all or most of their portfolios in low-cost index mutual funds or index exchange-traded funds that strive to match various market benchmarks. Good Advice Doesn’t Promote “High-Commission Garbage.” That’s what financial journalist Bob Veres, publisher of Inside Information, a service for advisers, calls products that are notorious for high costs and potential to enrich advisers at the expense of their clients. These can include non-traded real estate investment trusts, indexed annuities and variable annuities inside retirement accounts. Good Advice Doesn’t Pretend To Be Free Or Cheaper Than It Is. 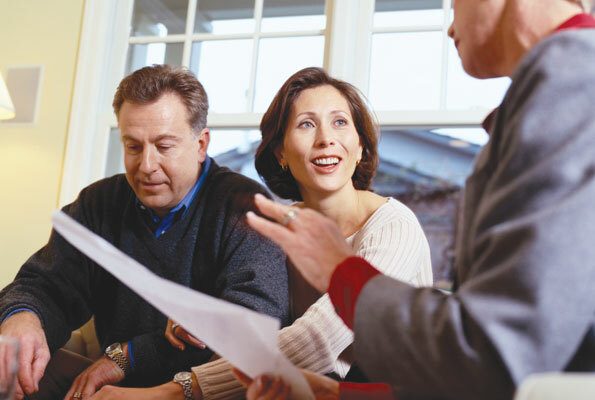 All investments have costs, and advisers can be paid in a variety of ways that may not be readily apparent to their customers. Financial advisers should be straightforward in explaining those costs and the ways they’re compensated. Good Advice Doesn’t Deliberately Confuse People. Some advisers make a big deal about being fee-based, but that means they also accept commissions or other incentives. Fee-only financial advisers , by contrast, are compensated solely by fees their clients pay. Also, some advisers have been telling their clients that the fiduciary rule required them to start charging fees. That’s not true, Roper says. Good Advice Comes From An Adviser Who Puts Clients First. Only a few categories of advisers are required to be fiduciaries, or someone obligated to put their clients’ interests ahead of their own. Those advisers include registered investment advisers and certified financial planners when they’re offering financial planning advice. Certified public accountants have a professional code of conduct similar to a fiduciary standard.